MOVE IN READY...So Many Updates... This 3 Bedroom, 2.5 Bath W/Large Well Kept Florida Room Is A Must See! 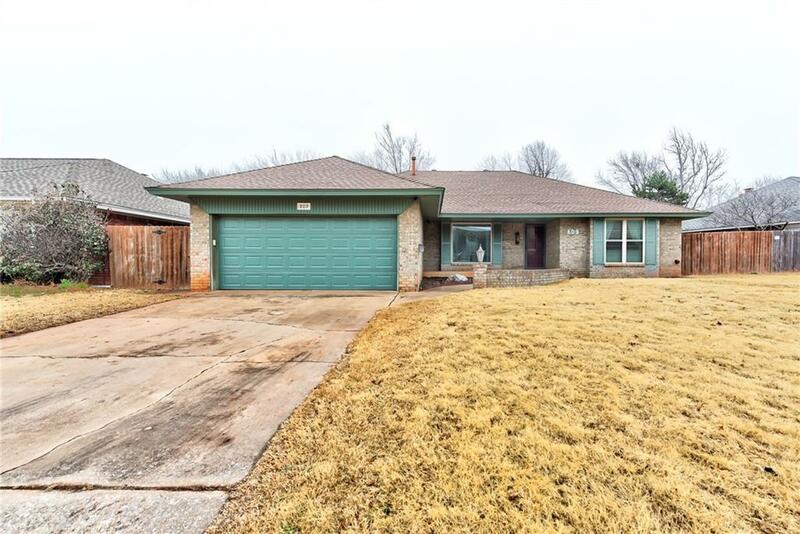 Updates Include: Flooring in Bedrooms, Hallway, Bathroom, Dining Area in 2016 - Entire Interior Painted 2016 - Kitchen Remodel (Counter tops, Backsplash, Refurbished Cabinets, Hardware, Sink, Appliances 2017 - Bathroom Updates 2017 - Wood Fence w/Steel Posts - 2018. New Windows 2012 - The Flooring Includes Woodgrain Tile, Engineered Wood and Brick. No Carpet. Bedrooms are Large w/Walk In Closets and New Ceiling Fans. Snuggle Up in Main Living Area Next to the Fireplace. The Large 2nd Dining Area can Be Used To Entertain Guests At Large Dining Table, Game Room for the Kids, Adult Game Room, etc. Gather For Breakfast at the breakfast bar & Bay Window Area.The Wonderful Florida Room is Open w/Plenty of Natural Lighting. Excellent area for games, fun, etc. Yard has been Well Maintained and Treated For Years. Enjoy this Large Lot and Space. Excellent Location to Highway, Tinker, etc.